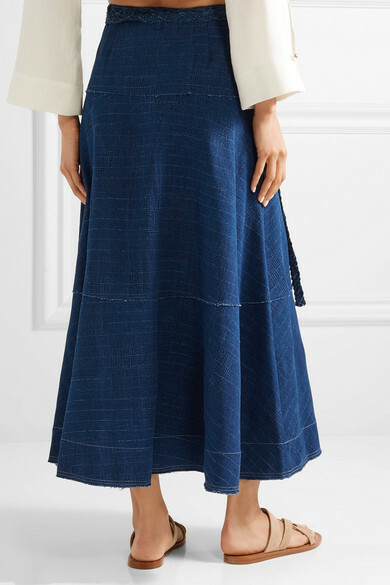 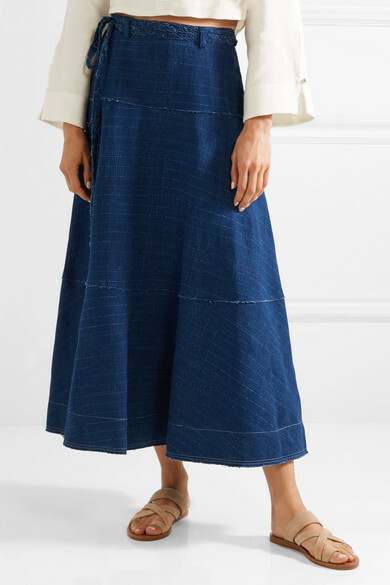 A premium quality jean skirt like Elizabeth and James' maxi version is the kind of piece you'll find yourself wearing for years to come. 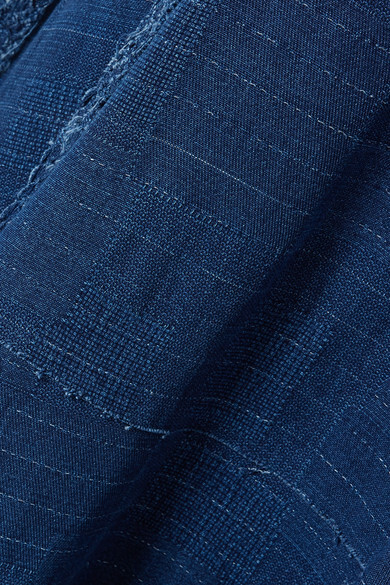 Cut from substantial denim, this 'Leila' style is woven with a touch of linen so it'll still keep you cool in the hottest months. 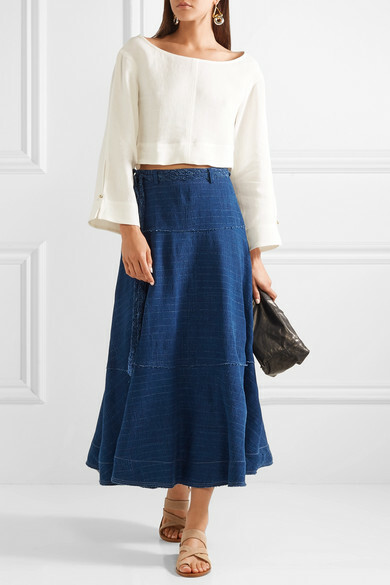 It has frayed seams, raised slub stitching and a removable belt that's long enough to wrap twice around the waist.